They all look equally snazzy, are pretty much the same age and are admired by the youngest Hahnenkamm fans. 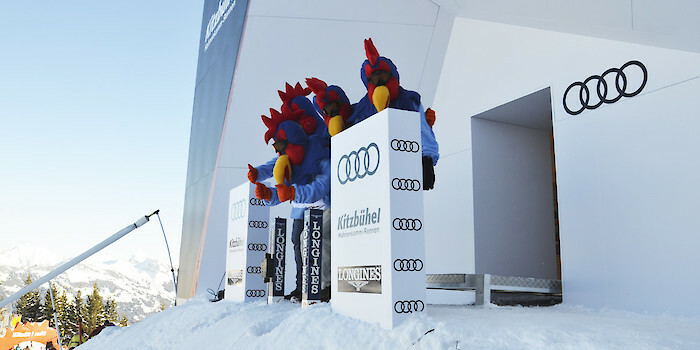 The mascots of the Hahnenkamm Races bring smiles to the faces of all spectators. „Just about everyone wants to have their photo taken with us“, says one of the four lads behind the rooster masks. Children in particular love it when they can take a picture with the Hahnenkamm mascots back home with them. Fritz Brunner has been responsible for organising the mascots of the Hanenkamm Races for the past five years. The tradition, however, is a lot older. „The costumes haven’t always been this good“, says Brunner. Apart from its striking colours, the ski goggles form a special feature of the Hahnenkamm rooster costumes. 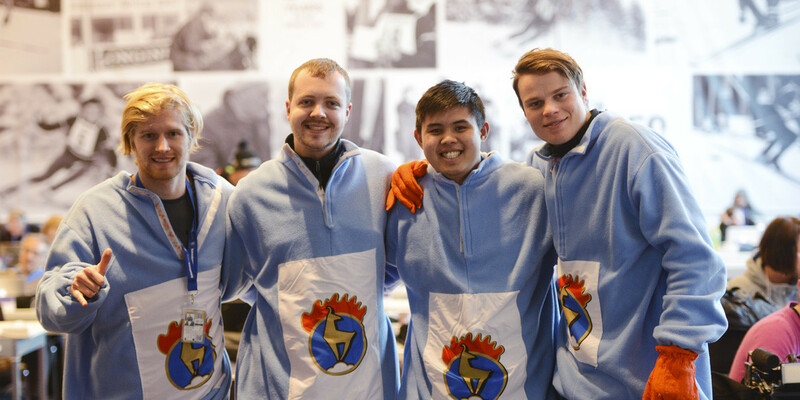 As they say themselves, the four boys wearing them are very comfortable with their role. „We are like celebrities for the children. Everyone wants a photo“, explains Florian Brunner. The 23-year-old is in his sixth year of performing this role and has been joined by Florian Bendler for the last four years, Michael Phan Ba for the last two and Maximilian Baldauf, who is taking part for the first time this year. The lads, who are all in their early twenties, are out and about in the finish area on all three race days. For six to eight hours every day, they celebrate with the fans and give the occasional interview. 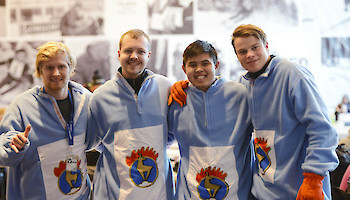 Do you already have a souvenir photo with the Hahnenkamm roosters?